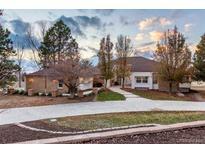 Find Centennial, CO Foreclosures for sale. View Photos, Maps and MLS Data Now! List broker may submit offers for non-represented buyers. MLS#3173902. LIV Sotheby's International Realty.